This is a great history book. 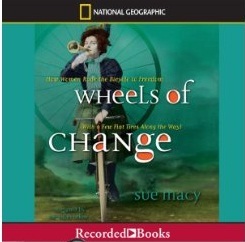 It talks about how the bicycle helped empower women. Not only did the bicycle provide women with a new mode of transportation they could use on their own, it also inspired social change and influenced women’s fashion. It is amazing to see how something we take for granted (who never rode a bike as a child?) helped improve the lives of its first users. *The audiobook was really well narrated, but I think I missed out not getting to see the photos. This is also a history. 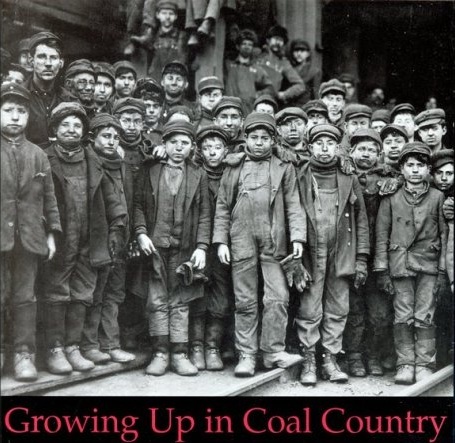 Bartoletti gathers the voices of those who grew up in coal country in northeastern Pennsylvania at the turn of the nineteenth century. This is the story of what it was like for immigrant families trying to make a life in America. It’s about the working conditions men and boys had to endure. This was a really interesting look at life at the turn of the century, but it was sad and beautiful at the same time. The children had to work and endure cruelty, yet they still found ways to have fun. A great look at what working conditions were like before laws were enacted to ensure safety and protect children. *The audio was excellent! The Plot: Its 1942 New York City, Iris’ father returned home from Pearl Harbor missing a leg and her mother has committed suicide. Iris no longer attends private school on the Upper East Side, instead she and her father had to move from the life of privilege she knew. Iris’ father is a private detective, only he now has trouble being inconspicuous with his limp. Iris wants to help her father but he won’t let her because he feels it is too dangerous. When a boy at the public school Iris attends goes missing, she decides to help her father by investigating on her own. Iris becomes friends with the missing boy’s friends, but what will happen if they find out her father is a detective and what she is secretly investigating them? So full disclosure here…this is the first audio book I’ve listened to in a few years. The only other audio book I’ve ever listened to was a nonfiction book which droned on and on and made me fall asleep several times while listening to it. I won’t name the book because I feel it isn’t right to do so without writing up a full review, which I don’t feel like doing. Anyway I decided to give audio books another chance because the librarians I work with are always talking about what they are listening to on their commute. Hmmm…getting through some of the books I want to read while driving to and from work (which is an hour total for me)? Sounds like a great way to get the number of books I want to read down. Well that didn’t work out so well since the CD player in my car decided it wasn’t going to play the discs (my car decided a while ago it was going to veto ever other music CD I put in, I’m guessing our tastes differ). Okay so now listening to an audio book was no longer going to be a way to make my commute more enjoyable. I wasn’t sure I would have any convenient way to listen to The Girl is Murder, but luckily I figured out a way to listen while being productive (which was an important aspect of listening versus reading for me). A 1940s mystery…yes please! (FYI…mysteries are one of my all time favorite genres.) 1940’s wartime New York City as the backdrop was perfect. Iris doesn’t take no for an answer, but she isn’t going behind her father’s back and sneaking out because she is rebellious. Rather she does it because she knows they need the money and her father needs the help. Iris has to lie a lot in the story and I’m interested to see how her friendships fare when all was revealed at the end of this book when I read the next book (due out in July?). I liked Iris. She isn’t the typical girl. It’s the 1940s so all that goes along with being a girl in the 1940s applies. There is a boy she likes in the book, but it takes a backseat to the mystery, which I appreciated since I wasn’t looking for a romance. So what about the audio aspect? I really enjoyed Botchan’s reading of the story. She uses different voices for the characters. She doesn’t just drone on like she is simply reading a story, rather she is acting it out solely using her voice to convene the emotions. She gives the right reflections in her speech. Despite what I was working on while listening to the story, she was able to keep me paying attention to the story. As with any story I know I liked it because I found myself looking forward to the next disc. I wanted to keep listening long after I should have stopped for the night. Any book that keeps me hooked while either listening or reading is a winner for me.